"Clean, friendly staff, value for money, close to Jerez Circuit [10mins the reason for staying this time]"
Hotel Faisán is a lovely lodging in Arcos de la Frontera in Cadiz. 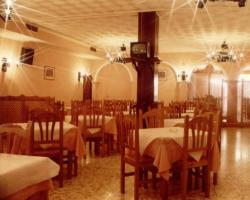 The building is decorated in typical Andalusian style, bright Mediterrean colors and a surrounding patio. All 21 rooms are equIpped with private bathrooms including a reversible showerhead, hair dryer, free grooming kit, air conditioning, heating, TDT television and Satellite tv, WiFi , telephone and desk. 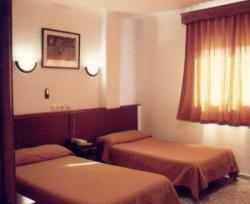 The 2 floors have an elevator, cafeteria, parking lot, laundry service, air conditioning, terrace, wake-up service and WiFi. What is outstanding is the El Faisán Restaurant that offers the most notable dishes from the Sierra Gaditana local area and the great variety of homemade tapas. 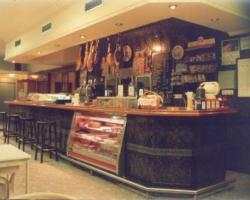 You can enjoy breakfast, lunch or dinner in a family environment with experience from 1970. 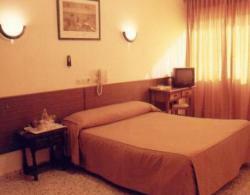 It´s ideal for business or pleasure and it is well connected to the major highways to the city. Because of its great location you can also get to industrial centers easily as well as recreational and tourist attractions We are only 45km from the beaches,10 from the Circuito de Velocidad de Jerez, 112 from Seville and 66 from Cadiz, the capital city of the province. 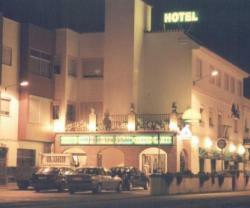 Autovia by A-382 Jerez-Arcos, access: Jedula. Distances: Airport 25 km Railway Station 22 km and 10 km speed circuits; Monumental 11 km and 45 km Beaches; Cadiz-Seville motorway 14 km. Reservation may be cancelled or amended up to 24 hours prior to the date of the client's arrival, except at Easter (from the 5th to the 13th of April, from the 10th to the 18th of May, long weekends and bank holidays. Failure to cancel your booking prior to this time will result in a charge of one night's accommodation apart from the initial guarantee deposit. In order to amend a reservation, please contact the hotel directly. Contact details figure on the voucher. If by amending your reservation, the number of nights or rooms you had originally booked is reduced, the deposit will not be refunded and will not be discounted of the modified reservation fee. "Squeaking AC unit in room had to be switched off when sleeping. Hotel staff advised and notes made to rectify." "La amabilidad y la buena comida"
"Ruido el fin de semana en la calle"
"Not in the village I thought I was booking but that was obviously my mistake. But as we were travelling around by car it was not too much of a problem." nights. Good communications to these citiesas well."